Any business owner worth their salt studies the market before venturing out. This is a standard business practice that most would accept. However, that isn’t the case with many writers I know. I will be the first to admit that I didn’t do any research. My focus on writing was to write, because that is the advice most prominent people in the indie community give. It makes sense to have a product before going to market, and the more product you have the more you will sell is logical thinking. One problem, what if those products you create don’t spark any interest? I’ve been worrying about that scenario, and it brings doubt into my writing. If you have been reading this blog, you know that is my biggest obstacle and keeps me from finishing my stories. My desire is to sell books, not just write parts of books. 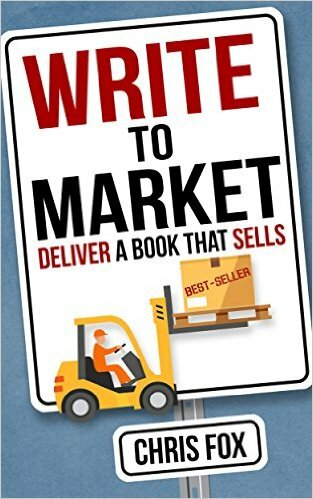 Luckily, Chris Fox tackles this topic in his book Write to Market. He gives straight forward advice on how to write a book that sells. He guides you on how to analyze your market and recognize why certain books sell on a regular basis. After using this information I have changed my focus and rewritten my mission statement. I highly recommend his book not only for the information it provides, but for the reduction in anxiety it can give authors who are wanting their business to thrive. Having this direction has freed up my mind to focus on making superior product and I believe it will do the same for you. How much market analysis have you completed? Leave your comments below. New mission statement: I write fictional thrillers with serial killers for readers who want character driven, intellectual, plot-twisting stories with strong female characters.